Yes, I've done it. I have finally made myself a Sewaholic Cambie! I've always loved this pattern, and a month and a bit ago I finally caved and bought the pattern. A digital pattern, so I was a bit slow off the start, having to print and tape and trace...but the Cambie was worth it. 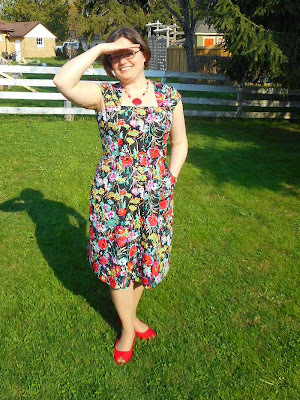 A summer dress for a summery day in MAY! I used a recently purchased cotton print -- I am in love with black-based floral prints this year. I lined it with a lightweight black broadcloth. I probably should have gone all out and used voile but it was a tad expensive for my first go-round. Now that I know how much I freaking love this pattern, I will be willing to spend a lot more on really nice fabrics for the next try. 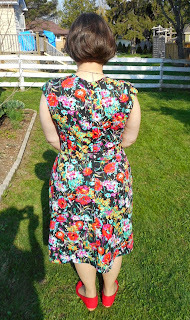 Sewaholic patterns are drafted for the pear-shaped figure -- which I am, and boy, does it make a difference. 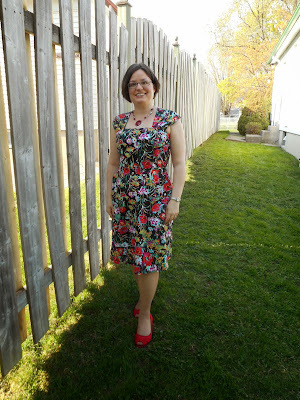 I made Version A, with the A-line skirt, not the full one, and it is super comfortable and flattering. There were a few alterations that I made to the pattern. First, I took a half-inch tuck out of the back armhole of the right side. When I made a bodice muslin, the right side gaped quite a bit; another result of my wonky shoulder. I folded a tuck from 1/2" at the back armhole edge to nothing by about the middle of the right back bodice piece. Because there was no corresponding sleeve measurement to worry about this worked just fine. I ended up also tucking the sleeve/strap in by far more than the 5/8" seam allowance, at the final step. I think I tucked each in by just over an inch, but then I usually shorten between bust and shoulder so that makes sense. I absolutely love the way it fits. I also broke out my blind hem foot for the first time on my new Janome. It took a few tries on scraps to get the feel for it, but I'm so glad I used it. I really didn't want a hem that was just folded under and straight stitched, as I felt it might affect the hang or look of the skirt. 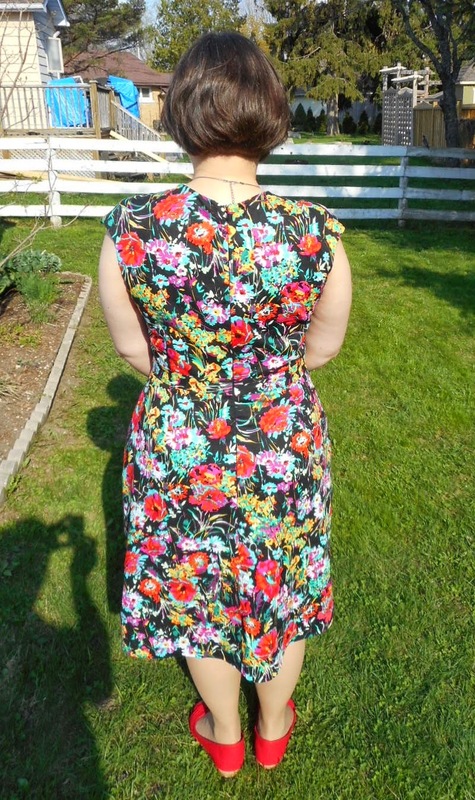 And since everything else about this dress is so nicely finished, I was going to hand sew the hem. But then took a chance on the blind hem and it worked really well. I also used the correct invisible zip foot, new also, and it made ALL the difference. I can't believe this invisible zip. Next go I will also pinch out an inch at centre front; this time I took a tuck just beside each strap to reduce the front centre gape. My fabric is so busy you really can't tell. 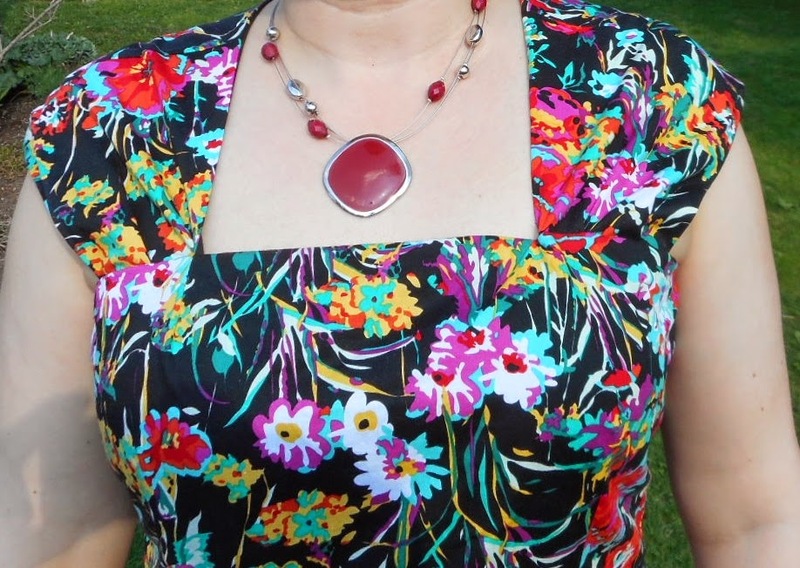 And, oh, of course -- the other alteration I made was to change the front neckline from a sweetheart line to a straight neckline. I just can't get behind the sweetheart shape on me. Thankfully the Sewaholic Cambie sewalong posts had tons of extra info, like how to change the neckline, and how to attach the lining to the zip, both of which I read through a couple of times to get going. I found the pattern well made and easy to understand, and I simply love the full lining and all the really excellent details in this pattern. I'm quite proud of this finished dress, the first in my all-out attack on my stack of wished-for summer dresses! Thank you! 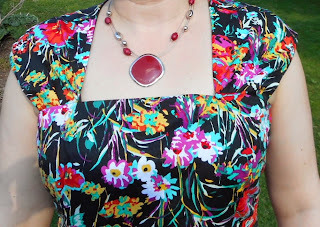 The pattern has a sweetheart neckline, but in the sewalong posts there are instructions to change it to a straight neckline (extremely simple but I didn't know how to do it before this) I like the square effect a lot. I LOVE this dress.The fit and the fabric are great. I am the opposite to a pear and have often sighed about the adjustments I would need to do to get this to fit as it is such a nice pattern. You look fab in it. Oh, thanks! Yes, if you aren't pear shaped I really do wonder how much alteration would be needed. It is a wonderful pattern, though! What a beautiful dress. This shape is so slimming on you. Beautiful fabric and fantastic fit. I can see why you are so happy. Great work. 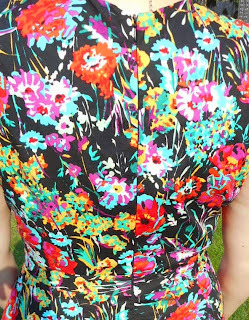 Thanks, I loved this fabric so much I had to use it right away :) I am so pleased with the fit -- it's a very flattering shape for pears. I am a Sewaholic convert! 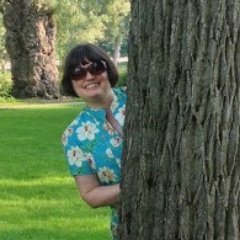 What a lovely dress - the fabric is perfect! 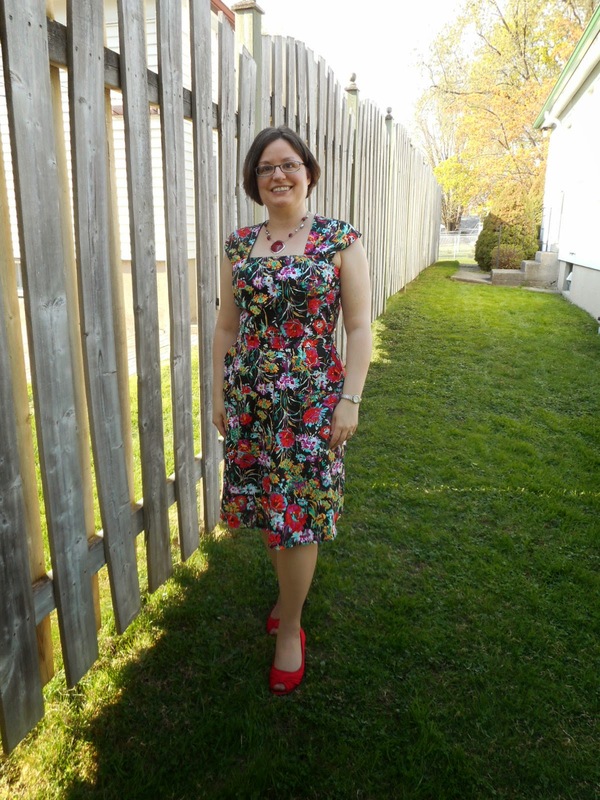 I see many, many Cambie dresses in your future! You look so fabulous! I have wanted this pattern and now with your version, I want it even more! So flattering. So gorgeous! What a lovely print, and the fit is just so perfect! Wow, your Cambie is beautiful! I've only purchased the Minoru so far, but this looks like a fantastic pattern. 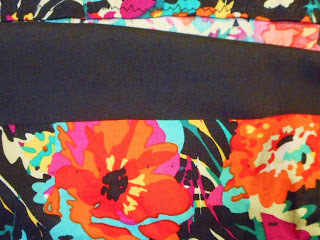 Would you believe I used this same fabric for my jacket lining? :) I thought your dress looked familiar! And yes, an invisible zipper foot makes a big difference! Yours is installed perfectly. 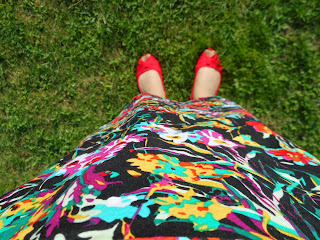 I love this dress--the colors are so bright and fun! I've been thinking about getting an invisible zipper foot because I can't ever seem to do it quite as beautifully as yours turned out. Wonderful job! Yes, I thought this fabric was really fun when I spied it on the bolt! And really, the zipper foot made the difference -- this one is the first invisible zip I'm pleased with. What a beautiful shape on you! 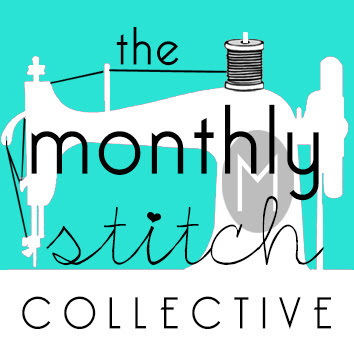 I've never taken the plunge into Sewaholic patterns, but the more I see of people's experiences with them, the more I want to give them a go. It seems like all their patterns yield beautifully detailed garments. Yours is the perfect summer dress! Thank you!Yes, I was very pleased with my first Sewaholic pattern. Such great details. 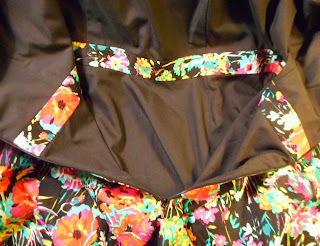 The fabric is awesome and so is the fit! You look so beautiful in this outfit! Oh my, thank you so much! I feel good in it too -- it's so bright and cheery and I know I did my best to get it to fit right. So satisfying! It's really having the right foot for the job...I'm not scared to pop in a zip anymore! Thanks!